Technology continues to affect the way we live and work. Each day, companies are developing new tools and computer software programs that propel industry and help create products that make our lives easier. In my industry, technology is changing the way we create a criminal’s face. For example, 100 years ago, if a frontier lawman wanted to make a poster of a wanted criminal, they only needed someone to sketch the person and slap a wanted poster in the local post office. Now, non-artists can use facial composite software programs to easily create criminal faces and to quickly post them on the internet for all to see. With so many photographs of unknown suspects available, police are now turning to facial recognition software systems to help identify them. Now police are able to compare these photos against millions of photographs stored in law enforcement databases throughout the country. Advanced search algorithms assist investigators in performing searches much faster. In an era where terrorism and crime are of public concern, this real-time solution becomes most important in identifying dangerous persons. Probably the most exciting technology being developed today, is the ability for law enforcement to create a suspect facial composite from DNA. Companies are working hard to perfect the process. Each day, science and technology are allowing scientists to extract more detailed and finite information from DNA profiles. 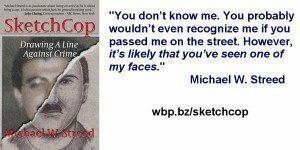 This is important because eyewitness testimony can sometimes be unreliable. Many of you who are reading this might think that my days as a forensic artist are numbered. Not so. 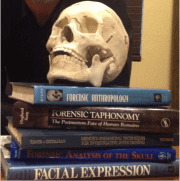 There are many areas where forensic artists contribute images to law enforcement investigations that are not impacted by DNA or automation. After all, writers didn’t stop writing because electronic word processors and computers replaced the typewriter. Let’s face it. No one knows how far they are going to take technology. 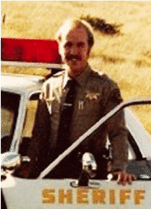 When I began my law enforcement career, I carried a gun, ammo, handcuffs, a walkie-talkie and baton on my belt. When I left, it looked like I was wearing Batman’s utility belt and the inside of my patrol car looked like the cockpit of the space shuttle. Like it or not, the world is changing fast. Every day, the tech industry is coming up with some cool new stuff. I just can’t wait to see what they come up with next!